Today's BlogHer prompt asks, "What does getting back to your roots look like to you?" I have been involved in tracing my family tree, including its roots while trying to avoid the weeds, since 1989. For me genealogy is not just about the names and dates on a page (or in the cloud). It is about the people and their stories. I like being able to travel to the towns of my ancestors, whether here in the U.S. or abroad. It is such a thrill to be able to walk where they walked, or to be able to look at the view they gazed upon every morning. 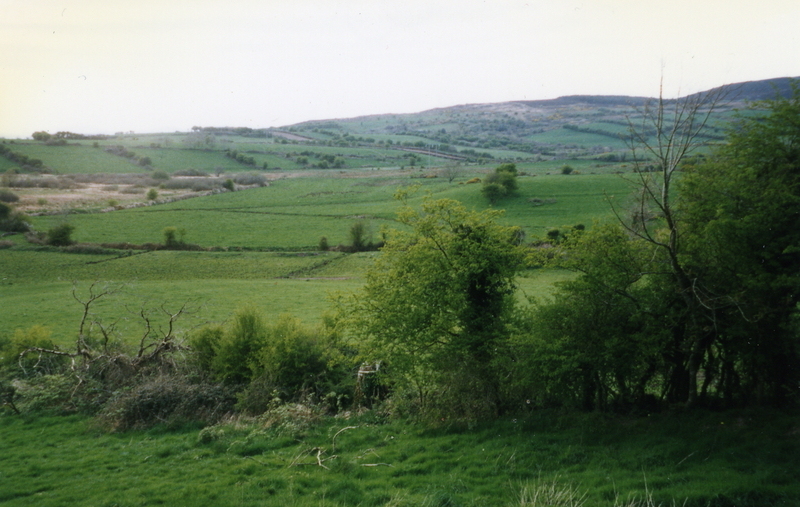 I was able to travel to Ireland in 1997 with my husband and then again in 2005 with my sister. We visited some ancestral towns and villages while we were there, viewing the old homesteads, looking through cemeteries, and even worshipping at one of the churches. (And I have to say there is nothing more delightful than hearing Mass said and sung with an Irish brogue!) Those who live in Ireland seem to not quite get why we are looking for a piece of our distant past. They are living it every day so it is not a big deal to them. In the fall I will be traveling to the Rhineland area of Germany, and perhaps down to Switzerland, with Family Tree Tours. This is a genealogy tour, with some sight-seeing thrown in of course, but the purpose is to help us connect with our families who emigrated from that area. I have provided the names of my ancestors and all the other pertinent information I have come across so far to the tour organizer. With the help of a man in Germany, the goal is to find someone from my town of Insheim who would be willing to meet with me and share information about the town and hopefully my ancestors. Since I do not speak German, this is truly an opportunity to do some research there and not have to worry about the language barrier. I am eager to see how far down my roots are entrenched in this part of the world. I visited Ireland on my 21st birthday (many years ago!) I wanted to have my first beer in a pub, and I did. It was a glorious vacation and I went solo and it started my love of travel. I hope you have a BLAST in Germany and that you get some of your family research done. My late hubby and his mom traveled there together and went to Hamlin and adored it. Thanks for visiting Winnie. I am very excited to see what I can find out while I am in Germany! The wonderful thing about going to Europe to experience the land of your heritage is that the "old world" is still there. The description of your trip to Ireland even makes me feel thrilled. And the trip to Germany will be awesome. Lucky! I wish my dad and I could go to Holland together. Oh Linda, wouldn't that be a trip? I always wished I could have taken my mom to Ireland. She desperately wanted to go, and always thought there would be plenty of time. That is why I am traveling now - you just never know!